Show the world what you came here to do. Become a LES MILLS GRIT Coach . LES MILLS GRIT is not your average workout. Every beat, every minute, and every move is tried and tested by leading sports scientists to ensure that it delivers on the HIIT promise. 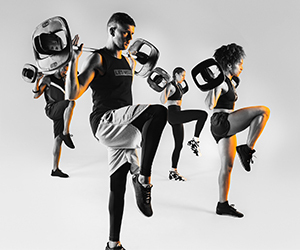 LES MILLS GRIT creates rapid shifts in fitness and transforms body composition in record time. Ready to lead the hottest HIIT class on the planet? We focus on creating the world’s best workouts and developing the world’s best Instructors to teach them. An intense HIIT workout, incorporating the barbell and weight plates. 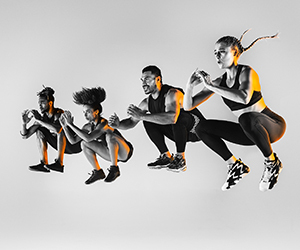 LES MILLS GRIT Strength focuses on resistance training to build lean, athletic muscle and deliver rapid shifts in fitness. An intense HIIT workout, with a focus on bodyweight exercises and speed training. LES MILLS GRIT Cardio improves cardiovascular fitness, increases speed and maximizes calorie burn. An intense HIIT workout, with a focus on athletic performance. 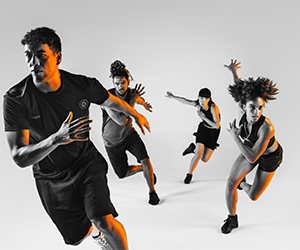 LES MILLS GRIT Athletic comprises a mixture of speed, resistance, agility and power training for total athletic conditioning.